Install Plex on your Ubuntu server and, after you're done, fill it up with content, or you will see an empty dashboard like I did. 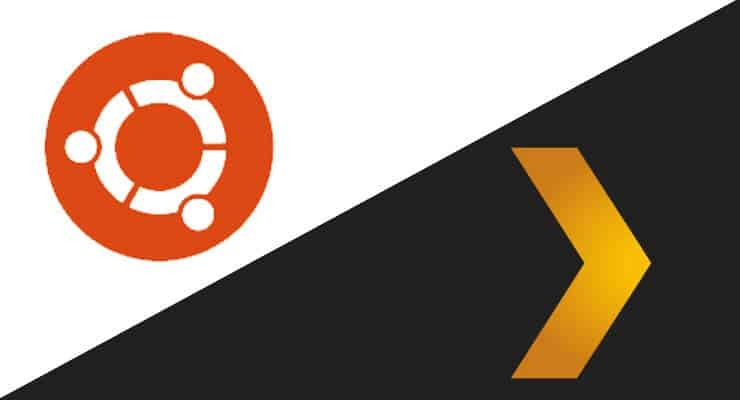 You should have some means to interact with your server in order for you to install Plex on Ubuntu. For this tutorial we will consider you have a screen hooked up to it, or you are accessing from a computer with a tool that enables you to use remote desktop capabilities. You need also a keyboard, so take a look at wireless HTPC keyboards if you still don't have one. 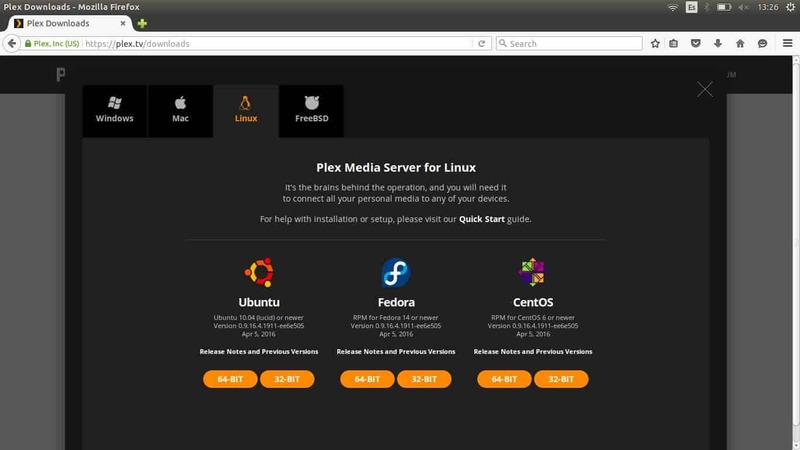 How to install Plex on Ubuntu server? Open your web browser, and head to the following URL: https://plex.tv/downloads. From the available options, click on computer. A dialog will pop up. You should click on the Linux tab. You will see several versions available for download. Let's focus on how to install Plex if your OS is Ubuntu. From the Plex downloads website, go to the Linux tab, and then select the appropriate Ubuntu version. If you are asked about saving the file to your computer, click on Save File, and wait for the download to complete. After it's downloaded, head to your browser download folder, and you will see the .deb package there. Double click it. 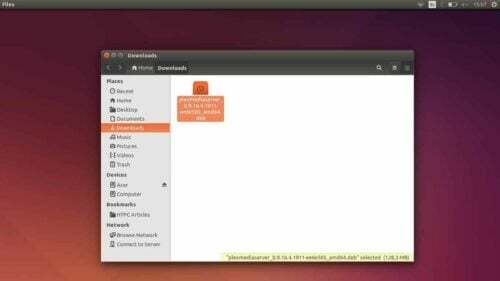 Double click the file you just downloaded, in order to install Plex on your Ubuntu server. When you double click the file, the Ubuntu Software Center will open. 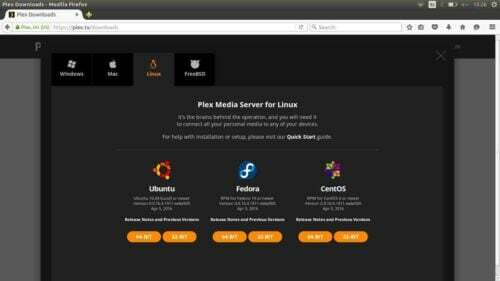 It will show you the Plex Media Server application, and a warning to only install it if you trust the origin of the file. 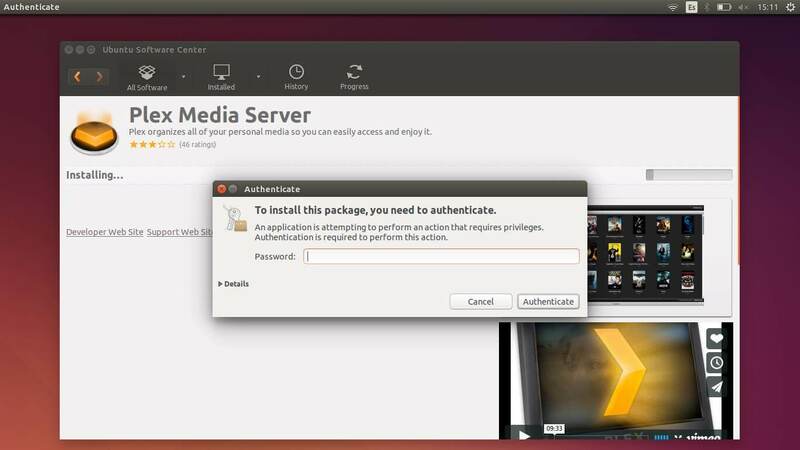 Click on the Install button, and, if you have Ubuntu configured with a password, it will ask you to input that password now. Write it, and then click Authenticate. Click Install, and you will be asked for confirmation. If your Ubuntu user is password protected, you will be asked to input your password in this step. Once you successfully install Plex on Ubuntu, you will be able to see its icon on the sidebar. Click it. This will start your Plex server, and enable you to access the dashboard via your web browser. Do so by heading to the Plex media server URL http://localhost:32400/manage/index.html. You will see Plex terms of service. Read them if you want, and then click Agree. Congratulations! 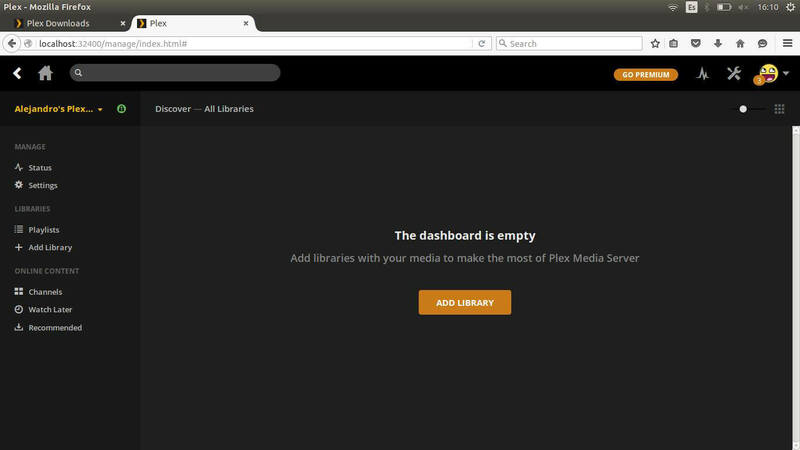 Now you are on the Plex dashboard and you're ready to use Plex on Ubuntu. If you want to add more features to your Plex server, check out how to install Plex Web Tools 2.0, to make it easier for you to get channels on your Plex server. You can also take a look at the best Plex client devices, to ensure you always get a smooth experience while streaming from your home server. Stay tuned for our tutorials and make the most out of your Plex installation!